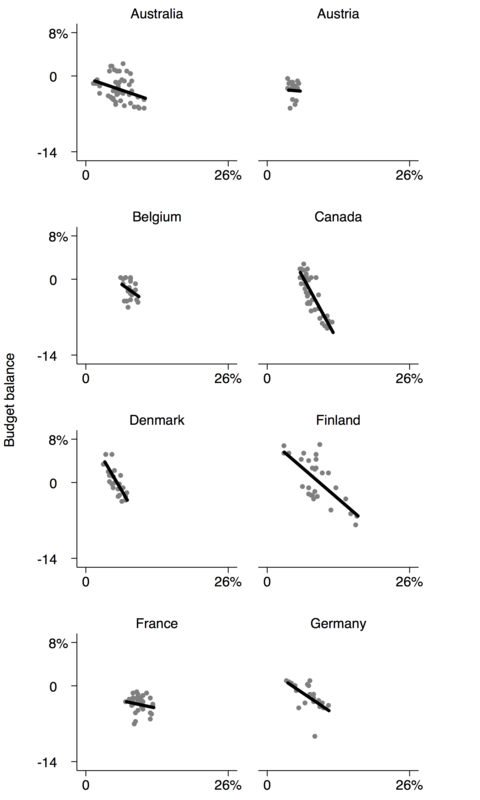 All rich nations run government deficits during economic downturns. To avoid persistent deficits, which will tend to produce a large debt, they must run surpluses during periods of growth. 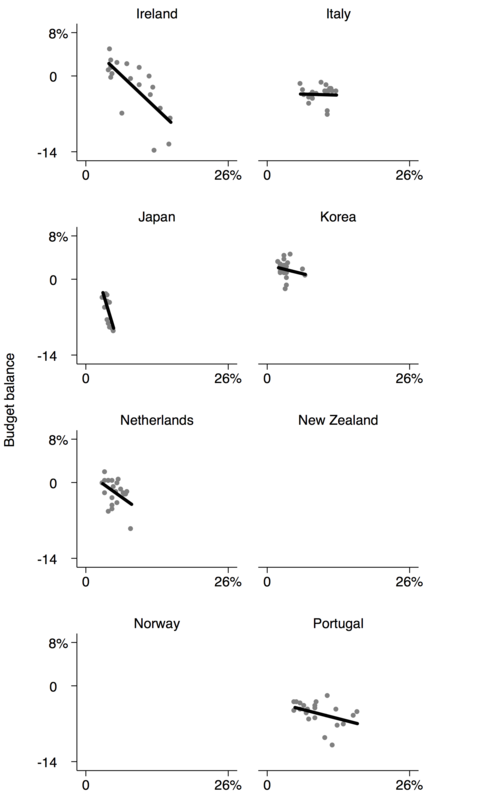 Figure A1 offers a sense of the degree to which countries do so. It shows budget balances by the unemployment for years in which data are available back to 1970. The data points are years. 1970-2015. The lines are linear regression lines. Norway is excluded; because of its oil wealth, it consistently runs large surpluses. Data source: OECD.